Since its founding, MECESA considered essential print a benchmark of quality to all its activities without limiting our own production and extending it to all customer-related processes. Its positioning and its commitment to quality can be seen reflected in the edition of the first Manual Quality Assurance in 1976, in implementing plans agreed based quality programs checkpoints in the mid-80's for supplies to nuclear power plants covered under the authorization of the Ministry of Industry and Energy, or the early interest shown by the implementation of a system of quality assurance. This process began in 1994 and crystallized in 1996 obtaining the Certificate of Company Registration ensuring that its quality management system was in accordance with ISO 9000 1994 certification, which has been maintained continuously in an updated form to date. 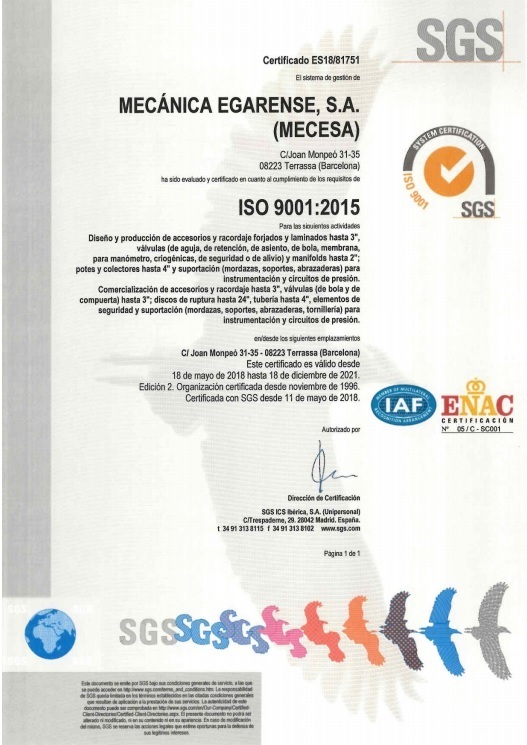 MECESA currently maintains its quality management system certified according to UNE-EN ISO 9001:2015 by SGS according to UNE 73.401 and by the Group of Assessors Spanish Suppliers of Nuclear Installations. 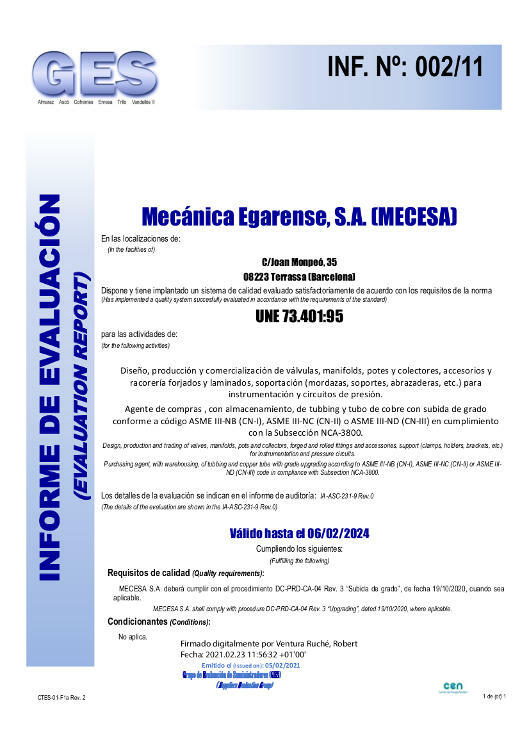 In the same direction, the high demand in the selection and approval of suppliers, use of latest machinery, a laboratory fully equipped and professionalism of its staff, have given to products manufactured and marketed by MECESA the approval of institutions most prestigious international control.